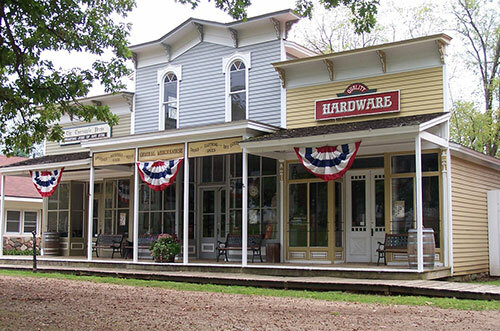 The store fronts from all three shops are from Nashville and Woodland, but the buildings themselves were built on the property. 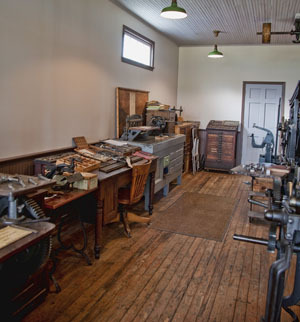 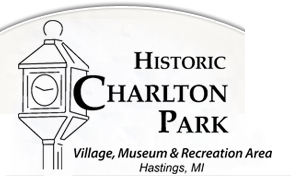 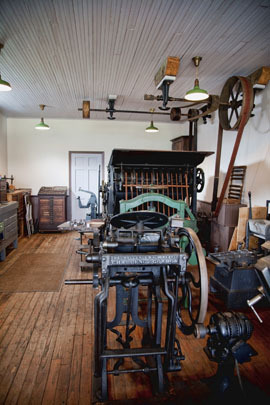 An active print shop was essential to a community, since the written word was the primary means of communication. 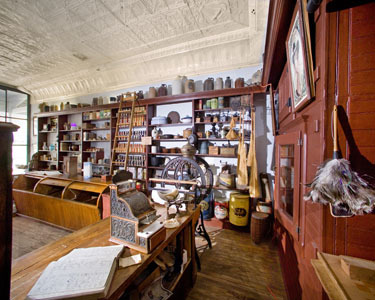 The general store was usually the first, and sometimes the only, retail establishment in small settlements. 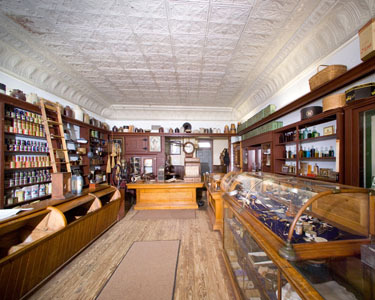 People also gathered at the general store to get the latest news. 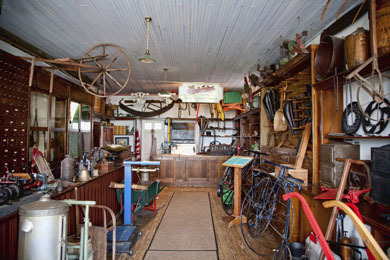 The hardware store was often the first specialized retail store in most villages.